Also critical to acceptance of the renewable energy are federal tax incentives that have spurred new projects statewide, especially at subsidized affordable housing complexes. 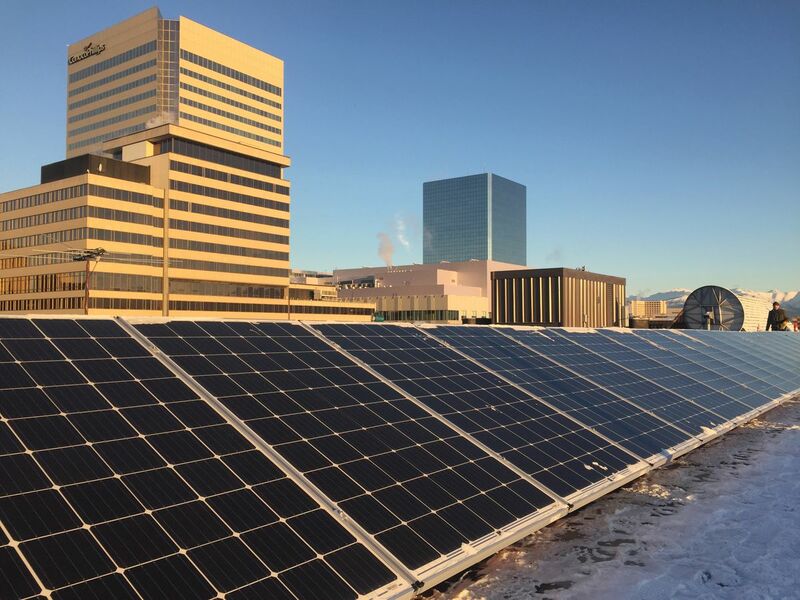 New businesses have launched to take advantage of the trend, including Anchorage Solar, created by Ben May less than a year ago. Now that it's March and days are growing longer, potential customers are clamoring for project estimates, he said. "It just got really busy for me," said May. A renewable energy consultant who helped bring wind power to some Southwest Alaska villages, May turned to solar power after prices for panels dropped significantly, thanks to a surge in supply. Rising rates at electric utilities have also made solar power more attractive, he said. Since getting his Alaska business license in April, he's been hired to work on more than 10 projects, often for residential jobs. He'll soon be installing solar panels along a southeast-facing wall at Bosco's comic book shop on Spenard, owned by Anchorage Assembly member John Weddleton. People are surprised how well solar power works in Alaska, especially in spring as light-reflecting snow supplements sunshine, May said. The systems operate more efficiently in cold weather, too, helping squeeze more electricity from the limited sun. During hours of peak sunlight on recent sunny days, panels at a system he installed in Bethel are slightly exceeding their power rating, a rare feat, he said. "We are in the period of Alaska's secret weapon right now," he said. "It's early March and we're just killing it." Chugach Electric Association, the state's largest electric utility, says solar installations connected to its system have doubled to about 70 in little more than a year's time. The utility generally provides service from the Anchorage Bowl to much of the Kenai Peninsula. Customers with excess power from solar panels are allowed to feed energy into its grid. Public housing organizations in Anchorage are driving a significant part of the increase, said Julie Hasquet, Chugach Electric's communications manager. Since 2013, the Alaska Housing Finance Corp. has supported the construction of about 20 solar energy projects in Anchorage and across the state, often for low-income housing. The housing finance agency was encouraged to pursue solar energy when people realized it works well even in cloudy weather, said Daniel Delfino, AHFC director of planning and program development. "It doesn't have to be California or Phoenix for these things to make sense," Delfino said. Most of the projects were supported by federal tax credits, he said. AHFC allocates them to entities such as the Cook Inlet Housing Authority in Anchorage. Large developments using solar, such as Cook Inlet Housing's Ridgeline Terrace, a 70-unit housing complex in Mountain View, stoke interest in solar energy as people see panels affixed to buildings, he said. "A critical mass of these projects with these very visible features are starting to sprout up," Delfino said. "We're fielding more questions on solar than in any year I've seen." Seth Downs, a homeowner in Anchorage's Bear Valley, said Anchorage Solar in November installed 26 rooftop panels atop his house. They help power his Chevy Volt, a hybrid electric car. 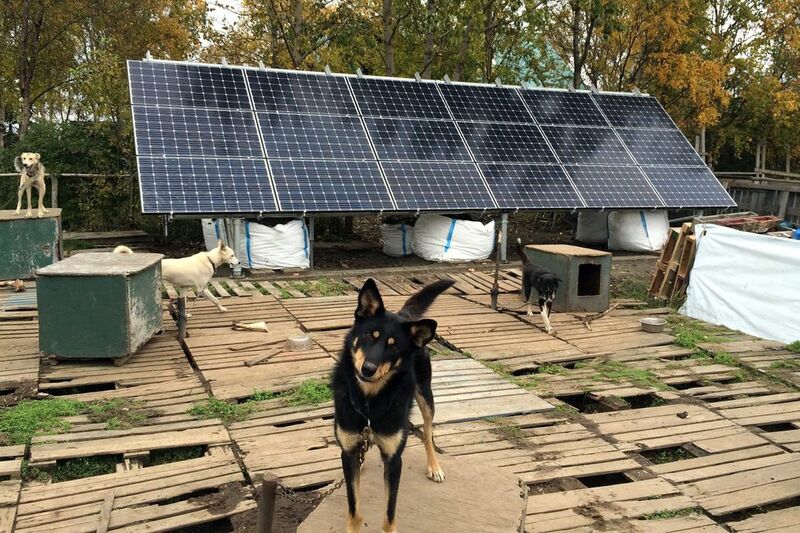 The panels generated a little power even in the "darkest depths" of winter, he said. Now that it's spring, they're producing so much electricity he doesn't expect to buy power from the utility until at least September. "With all this sun we've been having, I won't have an electric bill this month," said Downs, a married father of two. His installation should pay for itself in 15 years, he said. It should produce power for many years after, quietly and without maintenance, while generating none of the byproducts like carbon dioxide that harm the environment. "I'm doing it on principle, on moral ground, to use as much of the sun's energy" as possible, he said. Downs will sell excess power he produces to Chugach Electric Association. He paid for a large project because, over a year's time, he wanted to produce as much power as he consumed. Downs' project cost $26,000, said May. But it is eligible for a federal tax credit of about $8,000, reducing total costs to about $18,000. The size of his project increased his payback time, May said. Other residential and commercial projects often have a quicker payback period, of about 8 to 10 years, he said. 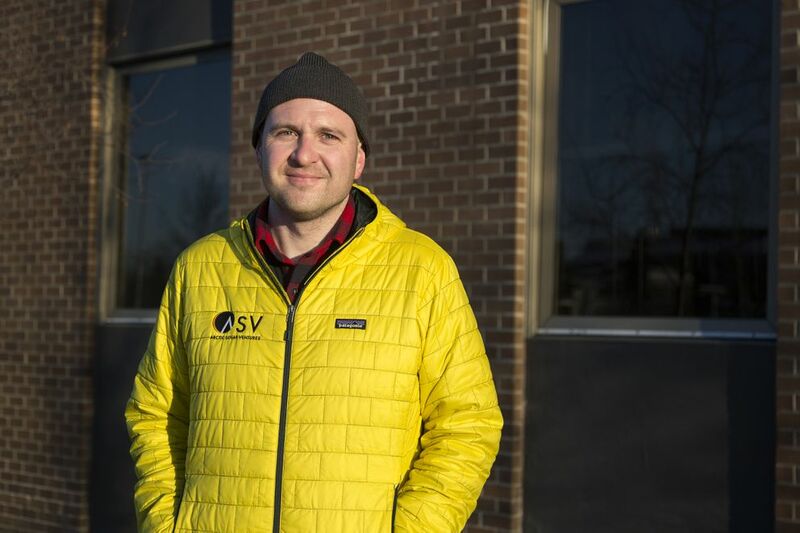 Stephen Trimble, founder of Arctic Solar Ventures, another new company in Anchorage, is also getting a rush of requests for project proposals. "We're designing about 30 to 40 projects right now, and a good healthy portion of those are commercial," he said. Since getting the business off the ground in the last year, he's installed solar panels on two houses and a 20,000-square-foot, two-story building in downtown Anchorage. The building is owned by Anchorage Mayor Ethan Berkowitz. The solar power was turned on at that building, at 880 H Street, on the shortest day of the year, the winter solstice on Dec. 21. "It was generating power — very little — but it was still great to see," he said. The 86 panels are on track to save about $10,000 a year, including federal tax credits. The roughly $100,000 project should pay for itself in about 10 years, followed by decades of big savings as the solar panels keep making power, Trimble said. "They're cranking now," Trimble said on a frigid Saturday recently, as the panels basked in the morning sun.